The High Performance Computing Center Stuttgart (HLRS) is a research and service institution affiliated to the University of Stuttgart (USTUTT). Founded in 1829, the foremost aim of the University of Stuttgart lies in the fields of engineering and natural sciences, which nowadays is represented by 150 institutions distributed over 10 faculties, 5.000 employees, and about 26.000 students. 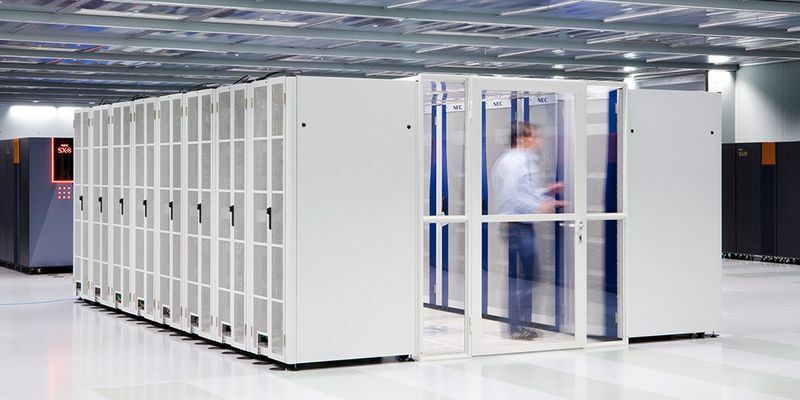 HLRS has been the first and is presently one of the three large-scale national supercomputing centres in Germany. Consequently, it is one of the leading members of the German supercomputing activities, which are organised by the GAUSS Centre for Supercomputing. As one and only academic HPC centre in Germany, HLRS offers its services to academia and industry and thus, concentrates on solution-oriented development and early product integration by exploiting its adjunct commercial companies, such as the hww GmbH for large-scale computing, but also the SICOS GmbH for small-scale services for SMEs. Besides its business activities, HLRS focuses on excellent research in High Performance Computing, High Performance Data Analytics and adjuvant technologies such as Machine and Deep Learning or Cloud Computing. The world leading experience of HLRS is complemented by supporting users in parallel programming (for example with the yearly Workshop on Sustained Simulation Performance), by developing productivity tools and libraries, by applying software engineering methods within the HPC domain and by enhancing system management software for HPC, HPDA and Cloud Computing. The operation of supercomputers owned by hww GmbH, a public-private partnership consortium comprising, amongst others, the German Telecom and Porsche AG. Teaching and training in distributed systems, software engineering and programming models with more than 1.000 participants per year. Cooperation with international partners from academia and industry on existing and innovative technologies to increase computational performance and at the same time, to simplify access to HPC resources. Identifying and supporting new applications with potential for HPC or HPDA, especially for radically new domains. HLRS acts as Technical Coordinator of HiDALGO and therefore, is responsible for the technical steering and road mapping activities of the entire project. Besides this overarching role, HLRS leads Work Package 5, the Centre Implementation and Operation, which is concerned with the establishment of simplified supercomputing access, the setup of the HiDALGO supporting infrastructure, the design and implementation of the HiDALGO Marketplace as well as innovative technology assessment, profiling and consulting. Furthermore, HLRS leads a number of other tasks and activities, including visualization of large-scale data, system software integration and user training. Copyright © 2019 Hidalgo Project. All rights reserved.